Transfer pricing is a sensitive issue. Especially when it comes to the tax authorities. Transfer prices often serve as "marshalling yards" for shunting profits around between Group companies. After all, which company would not rather report a high profit in a low-tax country than in a high-tax country (such as Germany)? In this blog post, we will explain how you can use data analysis in SAP to solve transfer pricing problems. Why are transfer prices a problem? Transfer prices are prices for goods and services between companies within a group of companies that are ultimately under the same management because they belong to the same group. This circumstance eliminates market mechanisms because there are no longer any real price negotiations between the trading companies as there are in dealings with third parties. These transfer prices can therefore be set "arbitrarily", since the service relationship remains "in the family". Of course, this doesn’t really bother anyone, except the tax authorities. Because transfer prices can be used to control the size of the profits of the companies involved. This can be particularly controversial if the receiving company is located abroad and profits are being transferred from Germany to abroad. For the tax authorities, this means an irretrievable shift in the basis of taxation. The tax office does not like this, which is why companies involved in the group should behave in exactly the same way as third parties - i.e. in line with usual market practice. Where are transfer prices regulated? In tax-related matters involving dealings with foreign countries, it could be said that legislators usually adopt an almost "general attitude of suspicion", because taxation bases can always potentially be shifted abroad. A large part of tax legislation is devoted to the regulation of abuse. For tax matters with an international dimension, the legislator in Germany has thus even created an entire law of its own, which serves only to regulate which tax arrangements are to be regarded as abusive if there is an international dimension: the German Foreign Tax Act (Außensteuergesetz – AStG). In addition to this, it is more difficult for the tax authorities to clarify matters in foreign countries, because German authorities can hardly investigate abroad themselves. For this reason, there is an increased obligation for the taxpayer to cooperate in foreign matters (Section 90(2) of the Fiscal Code of Germany [Abgabenordnung – AO]). "... the taxpayer shall at the revenue authority’s request make a sworn statement affirming the correctness and completeness of the details provided by him and authorise the revenue authority to assert on his behalf, both in and out of court ..."
Furthermore: "A participant may not plead inability to clarify circumstances or to submit evidence when he, depending on the case, could, in structuring his circumstances, have afforded himself or have himself given the opportunity to do so." It is therefore no defense for the taxpayer for it not to have obtained the information in the past and then later, even if it may be true, to argue that it is no longer possible to obtain the relevant information. "1. Where the income of a taxable person arising from a business relationship abroad with a person close to him is reduced by the fact that he uses different conditions, in particular different prices (transfer prices), than those which would have been agreed between independent third parties under the same or comparable conditions (arm's length principle), his income shall, without prejudice to other provisions, be valued in the same way as it would have been under the conditions agreed between independent third parties." This applies precisely to our case of inappropriate transfer prices within a group, because the related party mentioned in the law can of course be a customer who is also a member of the group and therefore not an independent third party (intercompany customer, see also Section 1(2) of the German Foreign Tax Act [AstG]). How can the arm's length principle be made more precise? "(3) For a business relationship within the meaning of first sentence of subsection (1) above, the transfer price shall be determined primarily according to the comparable uncontrolled price method, the resale price method or the cost-plus method if arm's length values can be determined which, after making appropriate adjustments with regard to the functions performed, the assets used and the risks and rewards assumed (functional analysis) for these methods are fully comparable ..."
The law therefore refers to three methods of arm's length comparison: the comparable uncontrolled price method, the resale price method and the cost-plus method. The question now is: How can we construct a data analysis based on these facts? It makes sense to first make use of the price comparison, or Comparable Uncontrolled Price (CUP) method. Of course, this is only possible if prices can actually be compared. This means that we need services invoiced to external customers on the one hand and intercompany customers on the other hand in our database for the same service. 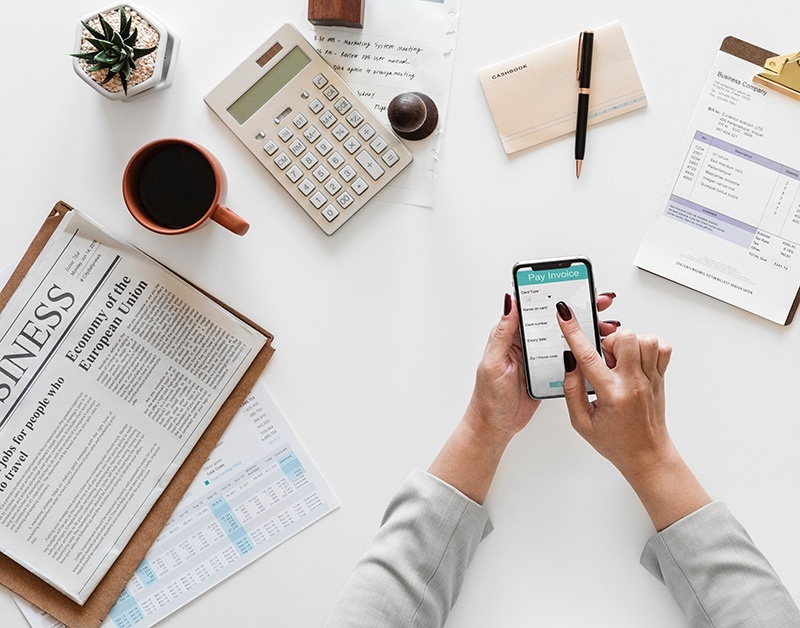 Calculation of an average of invoiced prices in the group of normal customers and in the group of intercompany customers can give a comparative first indication of whether there are price differences. Of course, alarm bells should soon start to ring if the price for the intercompany customer (abroad) is (much) lower than the price to a foreign customer in the same country. How can a data analysis be carried out that is in line with intended purpose of the Comparable Uncontrolled Price (CUP) method? Now, we finally leave the legal texts behind and turn our attention to the data in SAP. We will start by examining invoices in the SAP SD module. These billing documents are in the VBRK (document header) and VBRP (document lines) tables. Now we calculate different average prices per recipient country and billed material: an overall average price (UNITPRICE_ALL), an average price for normal customers (UNITPRICE_CUSTOMER), and an average price for intercompany customers (UNITPRICE_INTERCOMP).